It’s never too late to learn compassion. With school back in session, we’re thinking about all the ways we learn and teach compassion for animals. 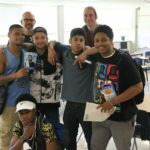 Our Bridges of Respect humane education is reaching people of all ages in middle schools, high schools, colleges, and community programs. Watch the inspiring new video to learn more about this CAA program, now in its eighteenth year. We hope you’ll share the video with Twin Cities educators who might be interested in free classroom presentations. And please “like” the new Bridges of Respect Facebook page. Even those of us who have been in the movement for years can learn new animal advocacy skills. A number of us went to the 2017 Animal Rights National Conference in August to do just that. Read all about it. Lastly, CAA continues to have an active student group at the University of Minnesota, Twin Cities. In fact, we had more than seventy-five students attend our first campus meeting of the semester. That’s unprecedented! If you’re a college student from a different school who wants to get involved, email me. I’d love to help you advocate for animals on your campus. By the way, you can look forward to a new format for this Weekly Update, coming next week. P.S. Congratulations to the winners of our Twin Cities Veg Fest survey raffle: Bethany Wanvig of Minneapolis, Adrienne Suess of St. Paul, Jack Bryan of St. Paul, Thomas Peterson of St. Paul, and Angel Johnson of Duluth. Enjoy your gift baskets full of vegan goodies! Thanks to all of the 7,000 people who joined us for Twin Cities Veg Fest on Saturday! 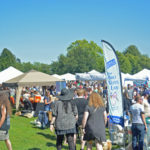 It was a truly beautiful day, not only because of the sun shining, but also because so many folks came out to get a taste of compassionate living. What a movement we are in! Huge thanks also to all of the volunteers, planning committee members, vendors, exhibitors, chefs, presenters, donors, sponsors, and everyone else who helped to make this year’s Twin Cities Veg Fest a success. We certainly could not have done it without you. Read more about the festival highlights on our blog. A photo slideshow is coming soon! We hope that if you came to the festival, you’re inspired to get more involved with CAA as the year goes on. We’ve got lots of community events, volunteer opportunities, and other activities coming up. Check what’s happening in September below! To sign up, RSVP on the Facebook event page or contact Laura Matanah at laura@exploreveg.org. Learn more about how you can get involved with Bridges of Respect, CAA’s humane education program. For more information or to RSVP, contact Shannon at shannon@bridgesofrespect.org. Preregistration is required. Seating is limited to 20 guests. Race to Como Park for Twin Cities Veg Fest – Saturday! Have you seen the outrageous video featuring some local vegan celebrities racing across the field at Como Park? We hope you have as much fun watching it as we had making it. And we hope that it reminds you that Twin Cities Veg Fest will be outdoors this year, for the first time ever at Como Regional Park on Saturday, September 9 from 11am to 5pm. Everyone is welcome, whether vegan, vegetarian, or omnivore. We encourage you to bring your friends and family. And dogs are welcome, too. The festival will be located at Como Regional Park, which is a big park. Google “1199 Midway Parkway, St. Paul” if you’re trying to find the exact location. Parking near the festival site is very limited, but we will have a shuttle service from Rosedale Shopping Center for those who are driving. (Five buses will be running from 10:30am to 6:00pm.) Carpooling is a good idea, and we also highly recommend biking or using metro transit if you can. For more information about getting to the festival, visit tcvegfest.com. The festival is free to attend, and there will be lots of free vegan food samples. There will also be a variety of vendors selling vegan food and other products. A lot of fun! We’ll give out special swag bags to the first 250 attendees, so you should arrive early if you want to score some swag. There will be lots of vegan food, exhibitors, and presentations, including three cooking demos. Check out the festival schedule for all the details. Invite your friends using the Facebook event page and share on social media using the hashtags #TCVegFest and #CelebrateCompassion. We also have a few volunteer spots left, so sign up now if you want to lend a hand behind the scenes. It looks like we’ll have fantastic weather, but just know that this festival is happening rain or shine. We look forward to seeing you on Saturday for our biggest event of the year! P.S. Check out all of our awesome press for the festival including articles in the Pioneer Press and City Pages. Also, we’ll have three TV appearances on Saturday morning: WCCO/CBS between 8 and 9am, KARE 11 between 8 and 9am, and FOX 9 at 8:15am. So exciting! We’re happy to share the 2017 recipient of our Kenny Feldman Animal Advocate Award is Christine Coughlin, Minnesota State Director for the Humane Society of the United States. 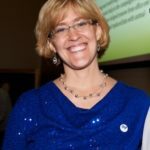 Check out our most recent blog post to learn more about all the fantastic work that Christine has done over the years. We’re so grateful to have her fighting on behalf of animals in Minnesota. This year’s festival at Como Park is sure to be amazing, and we want to make sure you know how to get there. Parking is limited, so we’re providing a shuttle service from the Rosedale Shopping Center. Please visit tcvegfest.com for more details. We’ll have lots more practical festival details to share with you in next week’s e-news. What’s under the big tent at Twin Cities Veg Fest? As we continue to rev up for Twin Cities Veg Fest, I’m revealing our line-up of festival presentations. Since we’ll be outdoors at Como Park, all the cooking demonstrations and speaker presentations will be under one big tent. Look forward to a big mix of entertaining, informative, inspiring, and delicious! Recipient to be announced in next week’s email news! All of the cooking demos include free food samples, by the way! And please stay tuned for next week’s email news, in which we’ll be revealing the winner of this year’s Kenny Feldman Animal Advocate Award. And just in case you’re not in the Twin Cities region and can’t make it to the festival, you don’t have to miss out! All of these presentations will be live streamed on our Twin Cities Veg Fest Facebook page. We hope you’ll be inspired and share with your friends! P.S. Do you want to help make sure that Twin Cities Veg Fest is a zero-waste event? Sign up now to be a part of the Twin Cities Veg Fest waste management team! All the food at Twin Cities Veg Fest! 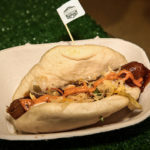 With Twin Cities Veg Fest less than a month away, we’ll be using our next few weekly e-newsletters to give you a glimpse of what you can expect at the festival. Today’s special preview is all about everyone’s favorite part: The food! I think it’s safe to say you won’t go hungry! Remember, Twin Cities Veg Fest is happening Saturday, September 9 at Como Park, and it’s free to attend. Bring your friends and family and show them how wonderful vegan food can be. P.S. If you can’t wait till September 9 for a taste of Twin Cities Veg Fest, I hope you’ll join us this weekend on Sunday, August 20 at the Linden Hills Farmers Market for their very special Veg-End, featuring vegan food, cooking demos, and more! 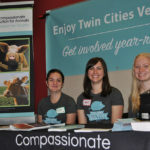 Join the Twin Cities Veg Fest volunteer team! 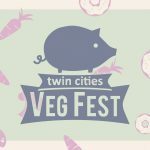 Twin Cities Veg Fest is our biggest event of the year, and we need lots of enthusiastic volunteers to help make it a success. Join the team today! Want to be a cooking demo assistant? Help with setup or cleanup? 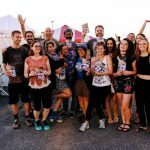 Give away free vegan food samples? You can volunteer for a couple hours and then enjoy the festival offerings for the rest of the day. When you volunteer, you help to make the festival an overall pleasant experience for everyone, and that means more people are likely to embrace the idea of compassionate living. You also get to work with other volunteers and make some new friends along the way. We’d love to have you on the team. Sign up today! P.S. Huge thanks to everyone who donated to our festival fundraiser! Not only did we reach our initial goal, but we’ve also exceeded our stretch goal. We are so very grateful for your support. If you missed your chance to give, there’s still time, and the additional contributions will be put to good use. Make a gift to support Twin Cities Veg Fest! The campaign continues until midnight tonight! The next month offers lots of opportunities to take action for animals and to have fun with our compassionate community. Our summer leafleting events continue full throttle, and preparations for Twin Cities Veg Fest are ramping up. With the festival just around the corner on September 9, we’re getting super excited and hope you are too. Check out these ways you can help promote the festival. Let’s get the word out! Also, our festival fundraiser continues for just one week more. We’ve made tremendous progress so far. Thanks to all of you who have donated! We have only about $1,000 left to raise of the $12,000 we need. (Don’t forget about our dollar for dollar match!) If you can make a donation of any amount today, that’ll help us reach our goal by August 9. Please give today and support the growth of Twin Cities Veg Fest. We are grateful for your support and for all the ways you help to make the world a more compassionate place with your everyday choices. If you plan to attend, please contact Laura Matanah at laura@exploreveg.org. RSVP on the Facebook event page or contact Justin at justin@exploreveg.org. The Linden Hills Farmers Market is teaming up with Twin Cities Veg Fest to bring you a snapshot of the upcoming festival. Come on out and join in the fun! RSVP to the Facebook event page and invite your friends! Preregister to reserve your spot. Twin Cities Veg Fest 2017 – Sneak Peek! Wow! Our fundraising campaign has made huge strides in the past couple weeks, and we’re now well beyond the halfway mark. Thanks to all who have given so far! Exhibitors and food vendors! Get ready for all your favorites, including Vegan East, Good Karma Foods, Sssdude-Nutz, The Herbivorous Butcher, Green Garden Bakery, Root to Rise, PLNT BSD, Ethique Nouveau, and more! Cooking demonstrations! This year, vegan foodies Steve Lienen, Chelsea Youngquist, and Mistress Ginger will be showing you how to make your own delicious plant-based meals. Farm sanctuary panel discussion! Featuring representatives from Spring Farm, Herbivorous Acres, SoulSpace, and Farmaste, this presentation is sure to be both informative and inspiring. The 2017 Kenny Feldman Animal Advocate Award! This annual award recognizes a local person, organization, or business whose work benefits animals. Who will it be this year? Come and find out! Community! (This is maybe my favorite part!) Of course the festival is open to everyone, and we expect upwards of 5,000 will attend. What you can count on is that you’ll be surrounded by a community of people who are interested in compassionate living. That’s a priceless experience that we hope will be hugely uplifting for you. If all this sounds good to you, I hope you’re saving the date. And if you haven’t already given to our fundraiser, I hope you’ll consider making a gift today. Please help us reach our goal by August 9. We’re looking forward to making this year’s festival a fantastic experience for one and all. Have you met Wally yet? As we revel in the ever-growing vegan food scene, it’s important to remember why we’re in this to begin with. For many of us, it’s for the animals. Thankfully, we’ve got lots of farm sanctuaries cropping up in the region, and all of them offer a chance to visit with rescued animals who remind us of our mission. 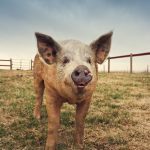 Maybe you’ve already heard about Wally, the brave pig who jumped off a moving truck while on the way to a processing plant. You can meet him at SoulSpace Farm Sanctuary. He’s a real sweetheart! We also want to let you know about Spring Farm Sanctuary in Long Lake. They have their grand opening festivities on Saturday, July 29. Check it out! Of course, it’s devastating to think of the billions of farmed animals who haven’t been rescued. Please put your compassion into action and join us for our summer outreach. Coming up this weekend, we’ll be at Rock the Garden and at the Warped Tour. We’d love to see you there! P.S. Here’s another opportunity for you to do something powerful to nurture our compassionate community: You can make a tax-deductible donation today to support Twin Cities Veg Fest! Our fundraiser continues through August 9, and all donations up to $6,000 will be doubled thanks to a group of generous donors. We appreciate your support!